One of the best parts about retiring is the ability to take more vacations. If your vacation includes the open road, then you might want to think about RV camping. 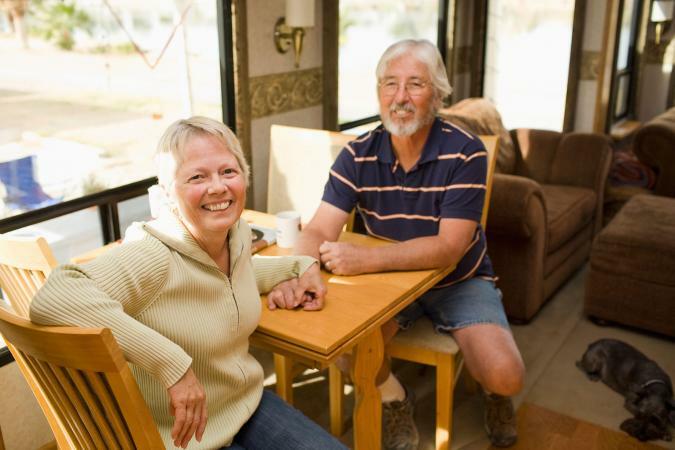 Find RV clubs for seniors and explore over 55 senior RV parks. Roaming Times: This website features a list of campgrounds that cater to 55+ campers. The site is organized by state, so it's easy to navigate to potential destinations in the region you plan to visit. Best Guide Retirement Communities: Whether you're searching for temporary or permanent RV sites, this website lists a variety of campgrounds and retirement communities in Arizona, California, Colorado, Florida, Georgia, Missouri, New Hampshire, and Texas. KOA: Kampgrounds of America established quality camping standards long ago. Go Camping America: This is a wonderfully comprehensive website for campers of all levels and desires. Go RVing: A one-stop site for everything involving RVs, this site features park and camping details, a list of RV resorts, and other resources. 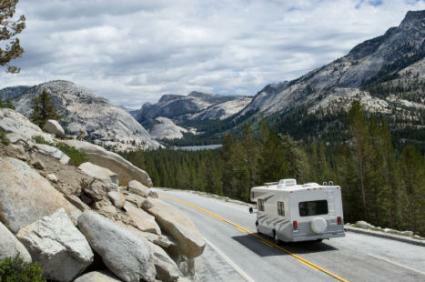 National Park Service: This site offers a great deal of information about RV travel. Plus, persons 62 or older can buy a Golden Age Passport for only $10. This lifetime pass gives members free admission to all national parks, forest and recreation areas, monuments, and a 50 percent discount on camping, parking, tours, and other federal facility services at national parks. Leisure Day RV Resort in Zephyrhills, FL offer all the amenities you might expect in a senior community including bingo, shuffleboard, and arts and crafts classes. Only an hour from both Tampa and Orlando, this resort is located near some of Florida's most exciting attractions. Surrounded by wetlands and a bird sanctuary, Rio Bend RV & Golf Resort is located in El Centro, CA. The park is pet-friendly and has won numerous awards from travel and RV groups like Good Sam and Woodall's. Though golf is the main draw for many visitors, this community also offers water activities, a library, and a computer room. "City close and country quiet" is the motto for Merry D RV Sanctuary. The park is located in Kissimmee, Florida and is appropriate for seniors who want a quiet campground for their RV with full hook-ups available. Located in Alamo, TX, Casa del Valle RV Resort is an RHP Resort. These communities are designed with active seniors in mind; this park is located near the Mexican border, allowing for some exciting cultural exploration. The resort is gated and features a fitness center, a dance hall, and is pet-friendly. You don't have to own a trailer or motor home to enjoy RV camping. In fact, RVs are easy to rent. If you're planning to spend a lot of time on the road, however, owning an RV may be a better option. Renting is a great way to sample life in an RV without making a big commitment. RV dealerships and national chains loan out RVs for a weekend, a long vacation, or an extended getaway. Most travelers rent motorhomes, and while the thought of driving such a large vehicle may be intimidating to a novice RVer, modern driving features make it simple. You do not need a special license to drive it. Rental packages may include the RV basics, such as kitchenware, sheets, blankets, towels, (known as "kitchen kits" or "housewares kits") as well as electronics, camping equipment, and emergency road kits for a nominal fee, or campers can bring their own. Renters can expect to pay a damage deposit and additional mileage above the package deal. Most packages include 100 miles-per-day-rented. Rental prices for RVs vary considerably, based on the model, amenities, and rental service. Weekly or extended vacation rentals are cheaper than daily rates. An average weekly rental, base price, is approximately $2,000-$3,000. RVs rentals are easily booked through Road Trek. If you know that RV camping and road-tripping is the life for you, there are numerous resources for buying RVs. About one-third of American cities have at least one RV dealership, and many can be found online at sites like RV Finder. Consider the purchase of an RV like you would a second home or a vacation property. Most experts recommend financing rather than a liquidation of retirement income to buy the vehicle outright. This is different than a car purchase. RVs are designed to last for 20 years or more. Engines, components, and interiors are built for durability. For safety and convenience, always use campsites designated for RVs. Plot your trek if possible in order to reserve popular in-season campsites in advance. Expect to pay $15-$75 for an RV campsite with water/electricity hookups. Most RVs have generators to provide power, but using electricity at campsites lessens the amount the generator is used on rental RVs. Be courteous to fellow campers and keep noise levels to a minimum. Water is important to the quality of life on your RV, so check your fresh and refuse tanks often. Most RVs allow for cooking, and certain things taste perfect over a campfire, so pack ample supplies. Keep campfires small to conserve natural resources. Recycle whenever you can, and put trash in proper containers. Don't tie animals to trees: use a tie-down stake. Pack an emergency kit of road flares, lighter/matches, first-aid supplies, batteries, flashlight, lantern, tools, and folding shovel. Preparing this checklist of necessities in advance gives you something to cross-check during loading. Crossing a great expanse of country harkens back to the days of exploring pioneers. One can always venture by train, but there's something about the freedom to roam, which RV traveling provides, that appeals to many. A road trip is also one of the first travel memories many adults have. Many RV manufacturers have a rich and varied history in America including the Airstream, Winnebago, Coachmen, and Gulf Stream Coach. Is RV Camping Right for You? If you want to expand your travel options and explore America in a new way, consider going with an RV. Even a weekend trip could help you create a new bank of memories and help you decide how much of a role RV camping may play in your retirement years.